Betty Fulghum of Lanett, Alabama born on December 16th, 1933 went home to be with the Lord Monday, November 26th, 2018 at the age of 84. Mrs. Fulghum retired from Lanier Health Services where she served as an Endoscopy Tech. She absolutely loved and adored her family and friends. She was a Christian woman of great faith and loved the Lord. Her hobbies included fishing and watching Alabama football. Mrs. Fulghum is survived by her five daughters: Gail (Danny) Webb, Ginger (Joe) Futrell, Jennie (Brandon) Rinehart, Sheena Gail (Ken) Johnson, and Teresa (Thomas) Morris; Grandchildren: Robbie Cotney, Brandon Cotney, Christopher Ward, Misty Bryant, Renee Bryant, Gene Bryant, Tisha Neyman-Morgan; As well as many great grandchildren, nieces, and nephews. She was preceded in death by her husband Wayne Fulghum, parents: Robert & Agnes Yates and Daughter Tina Blackwell. Funeral services will be Friday, November 30th, 2018 at 2:00 P.M. EST at the Johnson Brown-Service Funeral Home Chapel in Valley with Albert Smith officiating. Visitation will be Thursday from 6:00P.M. EST until 8:00 PM EST at the funeral home. Burial will follow at Oakwood Cemetery in Lanett. 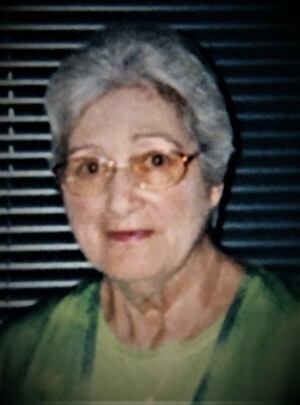 Please visit her Memorial Tribute page at www.johnsonbrownservicefh.com to leave a condolence for her family, share a memory of Mrs. Fulghum, or to light a Remembrance Candle in her memory.